I agree with you Bruce. I'm at that point now and am wondering the best way to proceed. Will probably try a few different techniques to see what works best on my layout. Having three decks brings up all kinds of issues! Quick question: Is the sky (blue) best applied with a roller or a wide brush? If I can make a suggestion to give your backdrop buildings some depth. when you use a one dimensional photo or print, mount it on some 1/4" foam core board and try to paint the edges the same colors as in the picture, then install your background built-up building on top of, or in front of the foam board. This along with some blue sky at the top fading to powder blue or white at the bottom should give you a more 3 dimensional appearance for a back drop. Al Carter I love the subtle white caps in the distance. I think if we would all be able to paint like Victor, or at the very least have a friend like Victor to paint back drops for us, all would be right in our train world. Beautiful job Victor. I think you should hire yourself out. I�ve been experimenting with various techniques for installing photo backdrops and have found a couple of tips that might be useful to others. All the photos were taken with a digital camera on overcast or partly cloudy days. This reduces the contrast and brightness of the photos which helps them fade into the background. One thing I see with some photo backdrops is that they are too bright and sunny. Our modeled scenery is normally viewed under low lights (compared to sunlight) and usually that light is diffused so that there are no shadows. If the backdrop is bright and sunny with sharp, distinctive shadows the total scene is incompatible, as if it�s cloudy over the layout and clear out there on the horizon. While this can be true in real life, I feel it doesn�t work well on a layout. Just my $.02. One thing I wanted to avoid if possible was having a distinct line where the photo was cut around trees, hillsides, etc. This isn�t an issue when using buildings as we expect there to be a sharp distinction between them and the sky. It is also not much of an issue when the photo is of a distant mountain or hillside, as long as the cut is wavy or irregular. Because my backdrop is middle-distance pine trees it became a bigger issue. No matter how I cut them it never looked good to me. The line between photo and painted wall was too noticeable. After some experimenting I started tearing the photo instead of cutting it. This leaves an irregular border and one that is thinner than the original paper. I hold the portion I want to save in my right hand and pull it up or towards my body. This is important because if you reverse the process you end up with the jagged edge showing the white of the paper instead of the color of the photo sky. In tearing it out get as close to the tree tops as possible but it is okay to leave some of the sky. Now lay the photo face down and lightly sand the back. Unlike sanding a paper sign, we�re not trying to get it too thin, just give the paper some tooth. 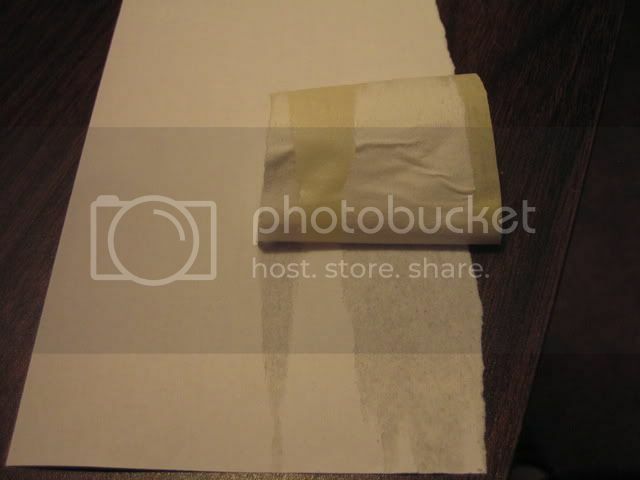 To thin it down use masking tape to gently tear away a �layer� of paper. 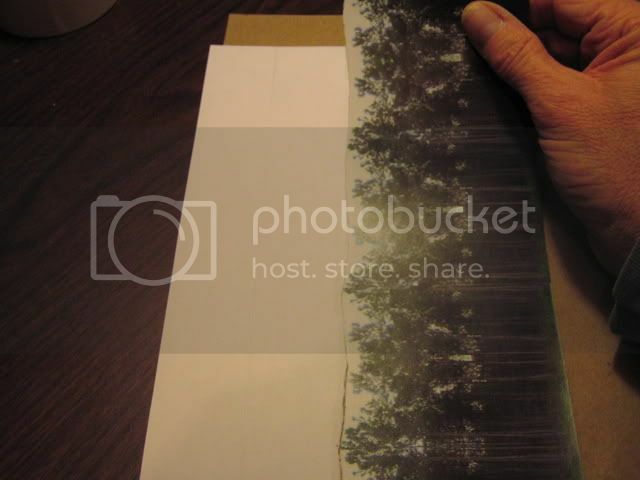 Put a small piece of tape on one end of the photo and lift it up. This starts to pull away some of the paper and after a little practice you can pull off a strip the length of the photo. You may need to do this a few times to get the proper width of strip. I thin down about the top 1/3 of the photo. You�re left with a very thin piece of paper, maybe half the original thickness. 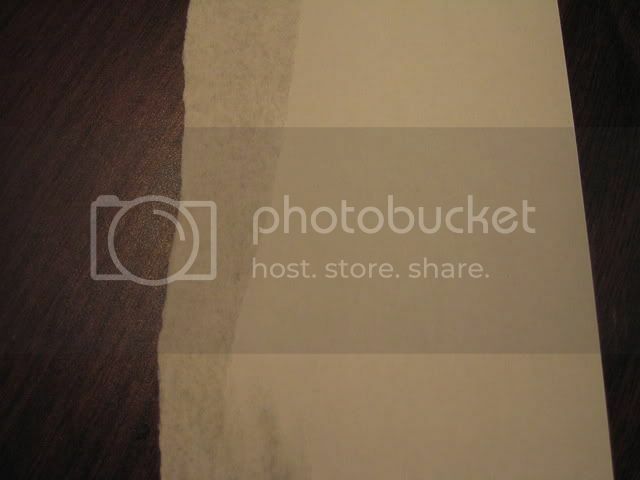 I attach the photos with Elmers spray adhesive and use my fingers to �burnish� the photo onto the wall. Between the tearing and the thinning, the photo seems to melt into the sky and the line between the two is almost indistinct. The final step is to use craft paints in various shades of blue and white to blend the sky of the photo into the painted sky of the backdrop. If your photos were taken on a cloudy day and your painted sky fades down to near-white at the tree line, this is a minor job. Before you start, spend a little time with your photo editing software to lighten or darken your images to get them to blend with your foreground scenery colors. It also helps if you can get the sky in your image to match the sky on the backdrop. And always use a laser printer. Ink jet prints will run if they get wet. Arnold, thanks for that tutorial. It came out great! I like the idea of 'thinning' the backdrop paper to minimize the edge. As you may have read, I have been helping Rick (Harsco) with his photo-backdrops and have run into the same issues you raise; paper thickness, lighting, etc. Your observations on taking pictures on an over cast day are interesting and I will give that a try. Thanks! John Bagley asked me to post this potential problem that might be experienced if you use hardboard/Masonite as a backdrop. I had a couple of windows that I needed to cover when installing/painting my backdrop. I figured that I could just skim coat the Masonite and paint the sky. But as you can see by the pictures that the Masonite bled thru the joint compound, After 2 layers it can still be seen. After I primed it there was no more bleed thru. A different angle, I thought I had a pic of the 2nd coat but haven't found it. Will add if found. Im new to the forum and would like to show my backdrop in progress. the colouring is all off and taken at night,still need to work on the layout lighting. Towering pines & Timber wolf lumber co.
Nice job, very nice. You don't have Victor hiding around the corner do you? first timer..... great start on your backdrop. Your layout looks interesting too. 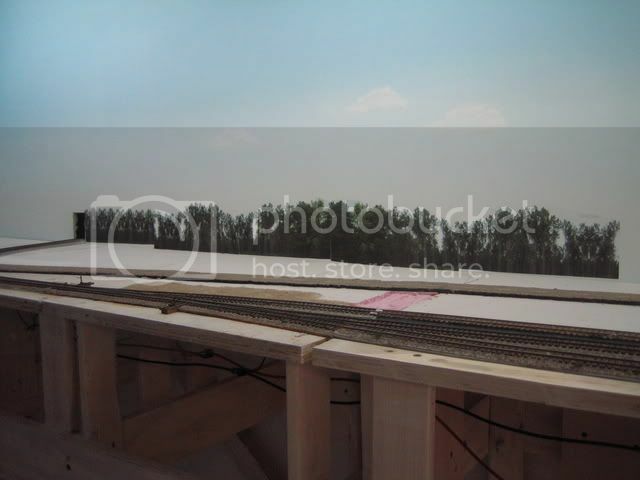 More photos and a track plan would be appreciated. Ill post a current track plan on the "towering pines thread" later. using modge podge to paste A4 size incjet printouts onto thick platicard sheet and then painting in the sky after.several pictures were combined ,even a centerpage of a brittish magazine with the train in the distance. The photo backdrop looks very effective on you railroad giving lots of depth. I got inspired while looking at LVN's Blogspot. His tutorial on painting a backdrop is great. I really got some good ideas from his work. Here is a shot of my Sunday morning first attempt. Not to bad but I think I need to cut out some of the mountains. Nice job Barry, Chris's Blog did wanders for me.